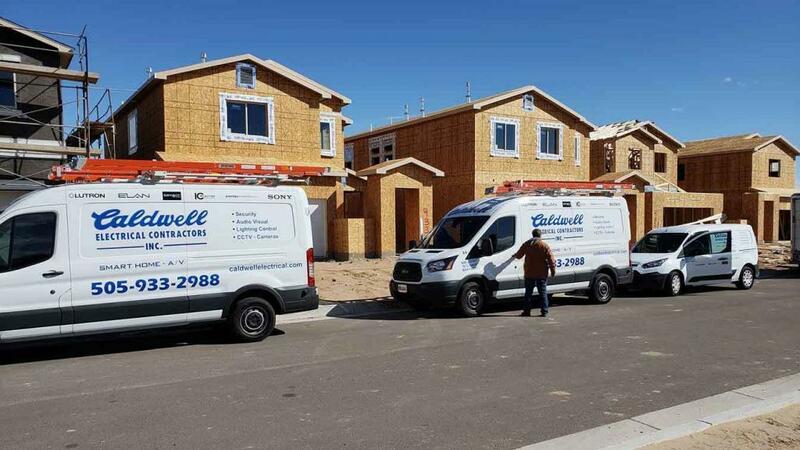 Caldwell Electric on Site at a new Home Sub-Division doing a pre-wire for Smart Home Security Systems, distributed Network and Audio/Video. Each of the homes Caldwell Electric is pre-wiring for D.R. Horton in Albuquerque Nm will get a Qolsys Panel, Door Bell Camera, Kwickset Smart Lock, Z-Wave Smart light dimmer, Honeywell Z-Wave thermostat and Alexa. Each house is also pre-wired for cameras in front and back.. Want a Smart Home Security System? Feel Free to contact us today for a free estimate.